You can also perform a more selective search for churches in the Thornton le Moor area or see them printed on a map. The age of the church is uncertain, although parts appear to be of Norman origin and there is a Saxon doorway inside. Evidence points to the church existing circa 1100. 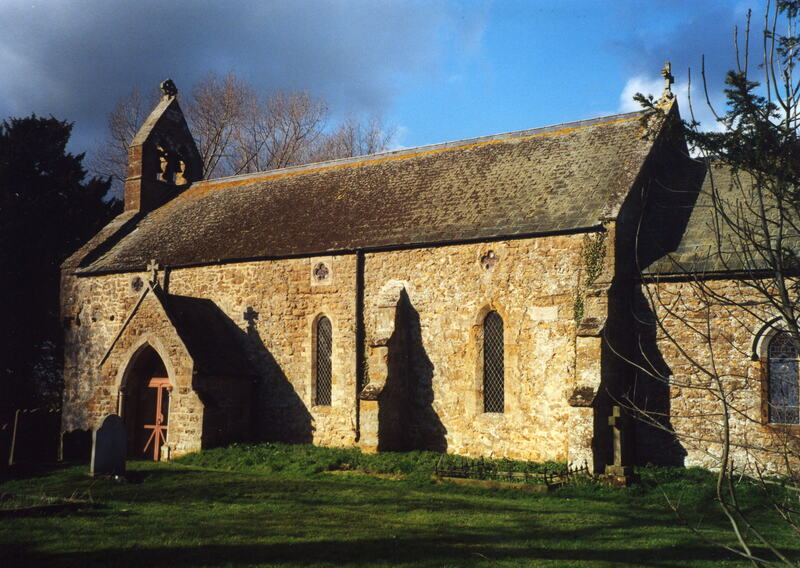 The church was thoroughly restored in 1871. The church is a Grade II listed building with English Heritage. The parish is often listed as being in the Walshcroft rural deanery in many directories of the county. This small village and parish sits about 7 miles south-west of Caistor on the Ancholme navigation canal. The parish covers about 1,500 acres and includes the ancient hamlet and manor of Bisthorpe (sometimes spelled "Baesthorpe")..
By automobile, take the B1205 west out of Caistor past South Kelsey. Ask for a calculation of the distance from Thornton le Moor to another place. You can see the administrative areas in which Thornton le Moor has been placed at times in the past. Select one to see a link to a map of that particular area. William PARKER built a mansion here, Thornton House, around 1835. The War Memorial is located inside the church and is a Roll of Honour to those who died and those who served in World War I. See the photograph at Geograph. The parish was in the ancient Walshcroft Wapentake in the West Lindsey district in the parts of Lindsey. In April, 1936, this parish was abolished and all 1,533 acres were amalgamated with Owersby Civil Parish. Kelly's 1913 Directory of Lincolnshire places the parish, perhaps erroneously, in the East Lindsey division of Lindsey. Others place the parish in the North Lindsey division of the county. There is no record of a school here before 1900. The children of this parish attended school in North Owersby and South Kelsey.